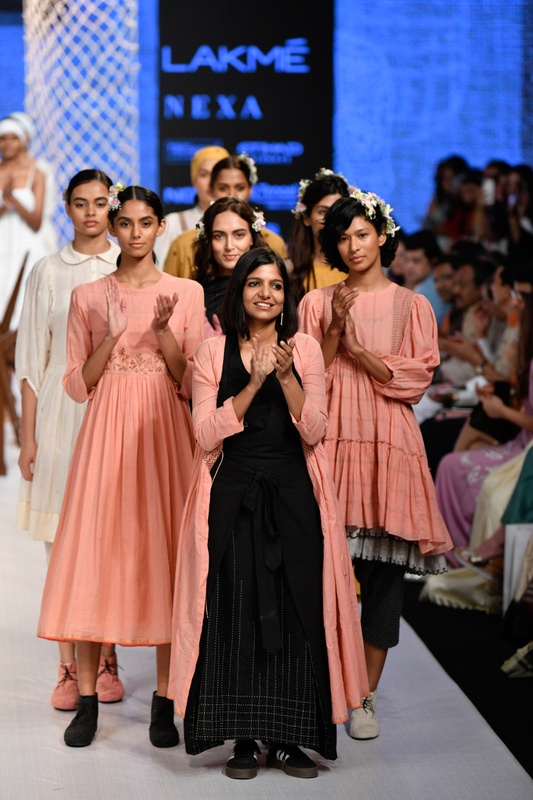 Lakme fashion week is a show that is a celebration of creativity, fine couture and art. 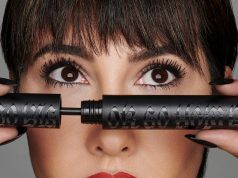 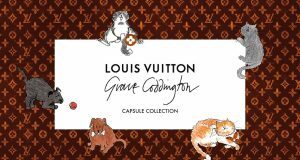 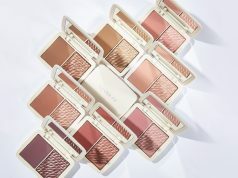 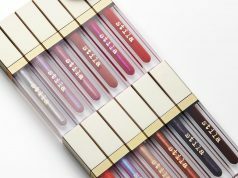 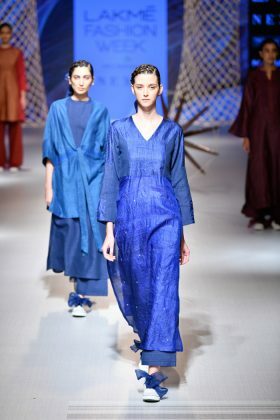 For the latest season, new designers are upcoming and establishing their visions for fashion encapsulated in their collections. 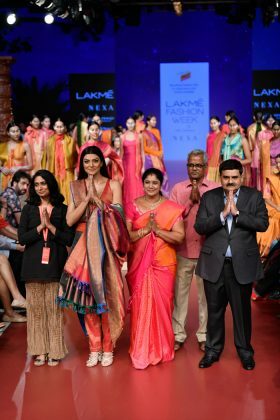 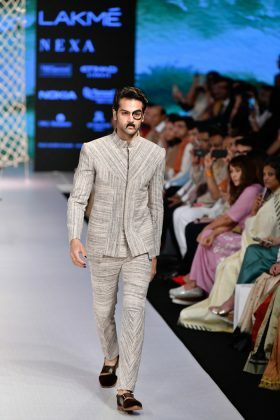 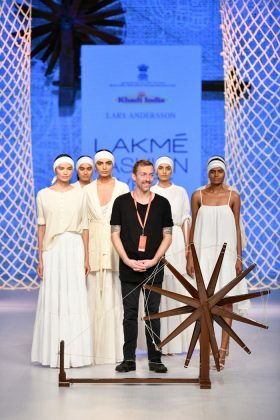 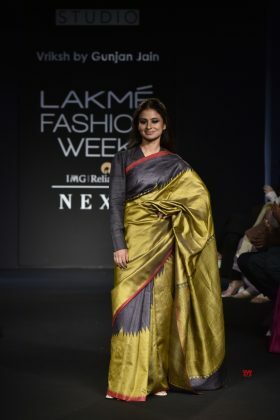 Lakme Fashion Week 2018 Day 2 was presented with more and better shows, designers, creative presentations and ideas to add in fashion dairies. 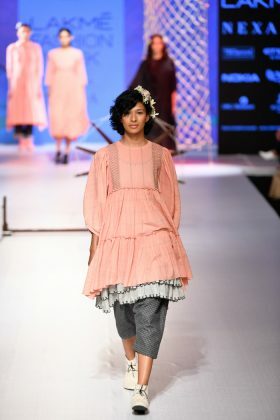 Just check out day 2 highlights in case if you have missed them. 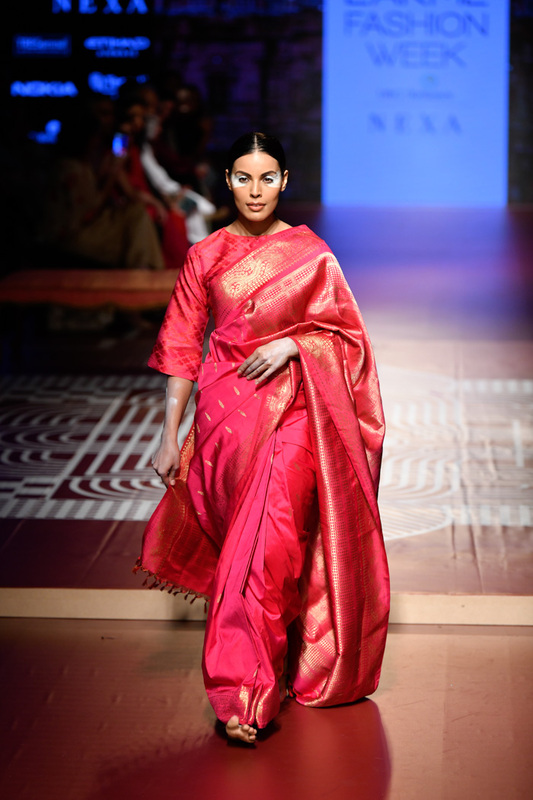 Bright colours and different style of draping the saree and evoking a sense of culture and origin. 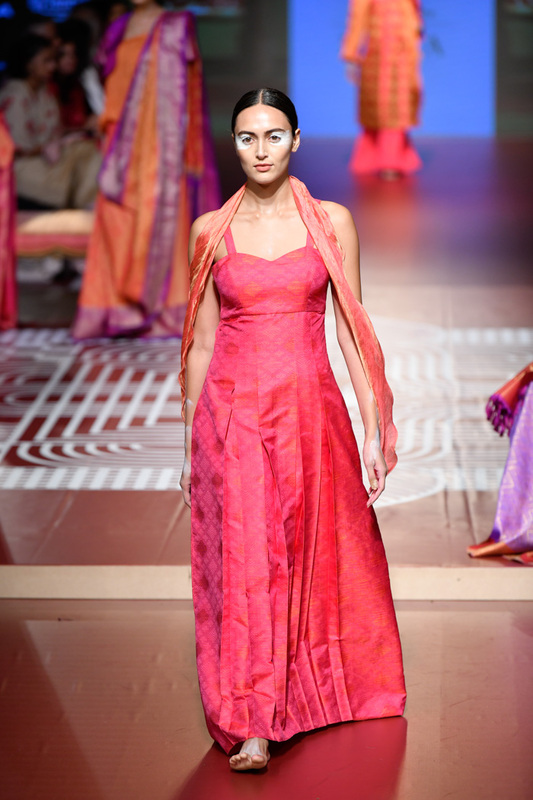 RmKV Silks presented the evolution of Kanjeevaram, in collaboration with Sunita Shanker. 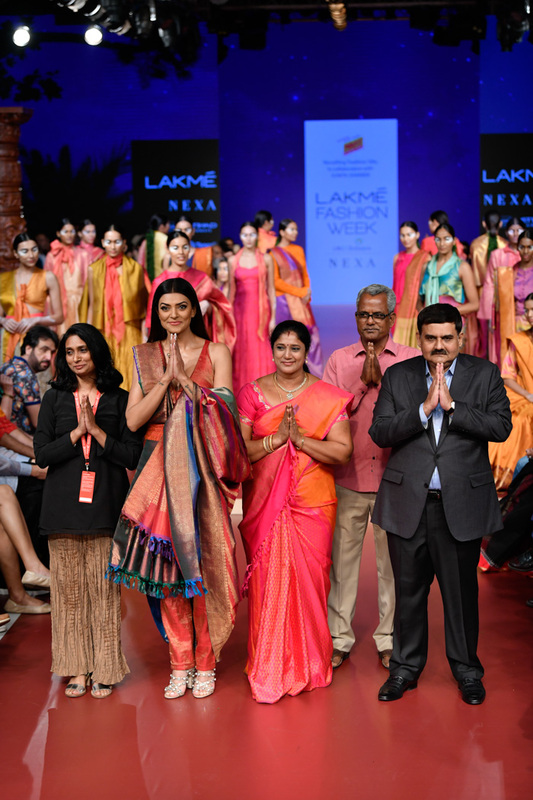  The Kota Women Weavers Organisation collaborated with Ka-Sha fashion brand. The collection line was about marrying multiple and in many cases contrasting characteristics. Gunjan Jain collection was named Yogini. 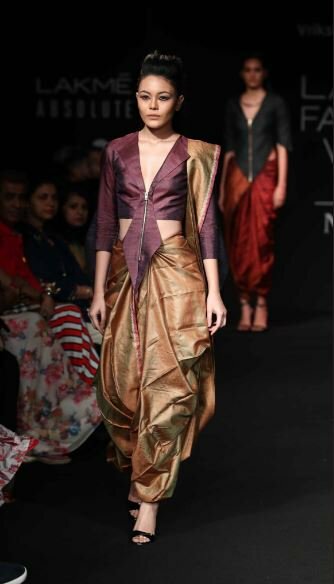 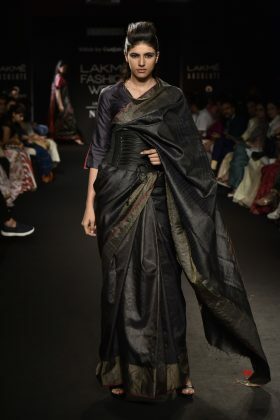 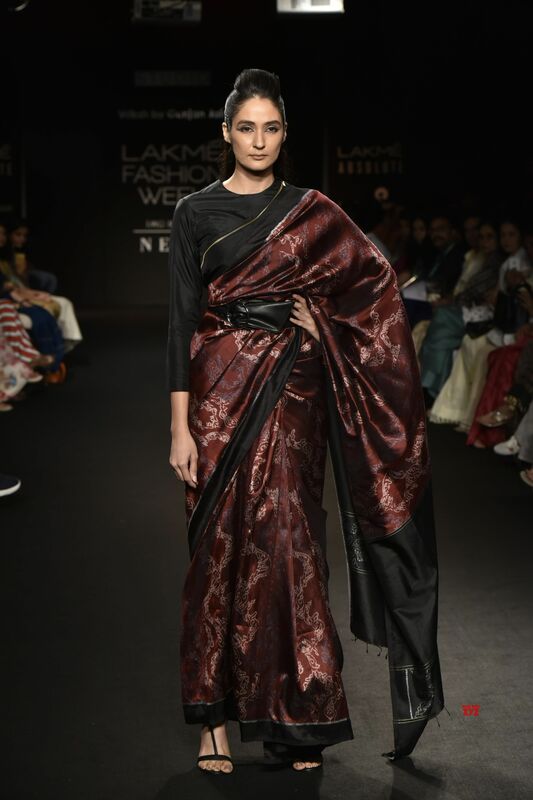 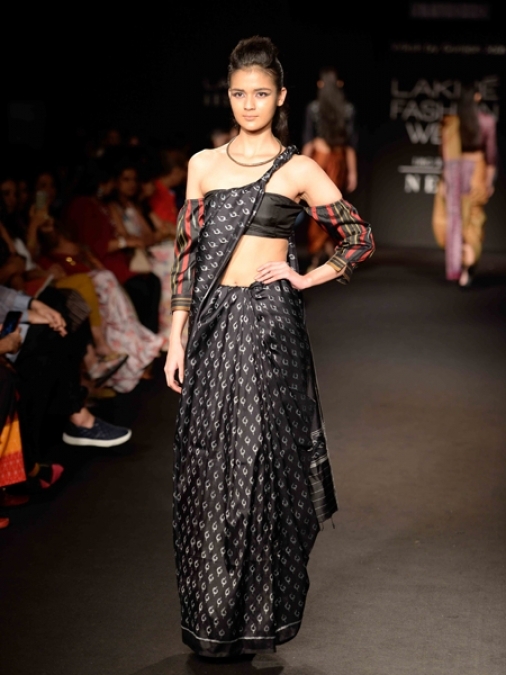 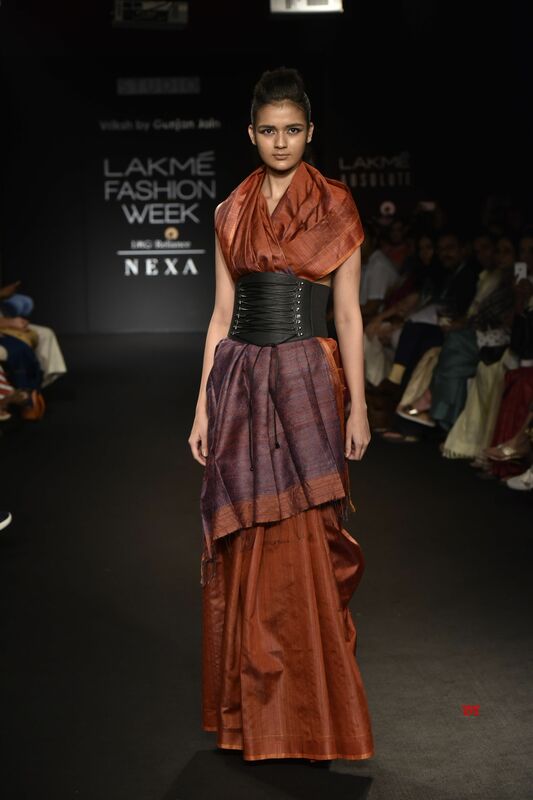 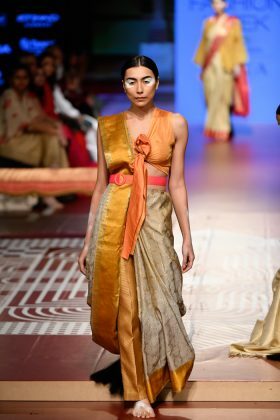 The collection was art that finds expression through luxurious handwoven saris styled in experimental sari drapes teamed with workwear blouses. 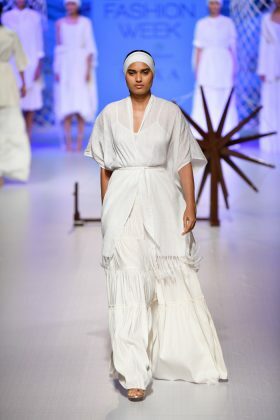 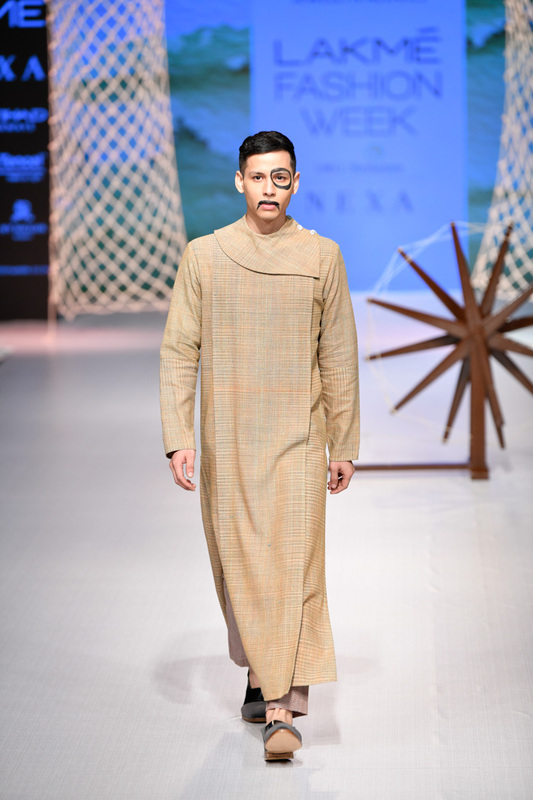 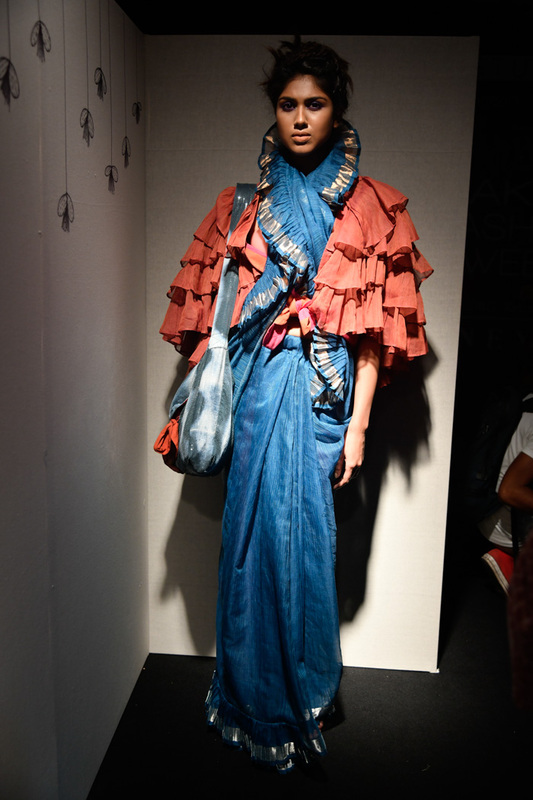 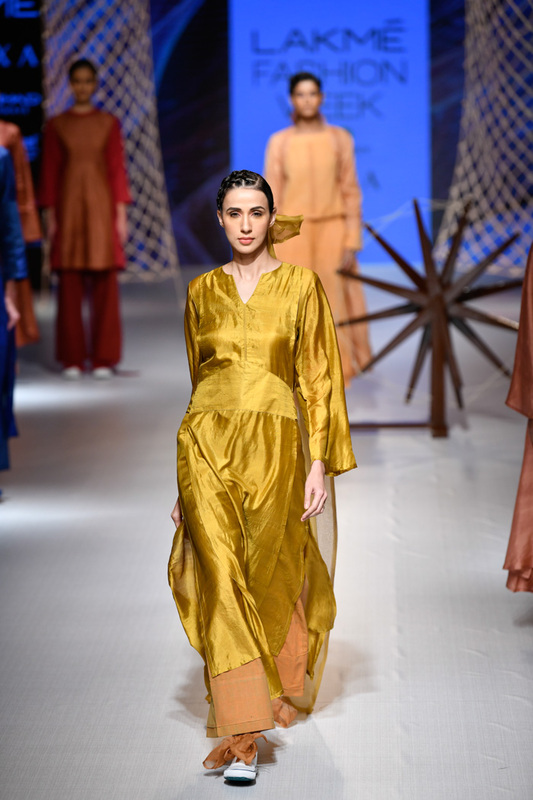 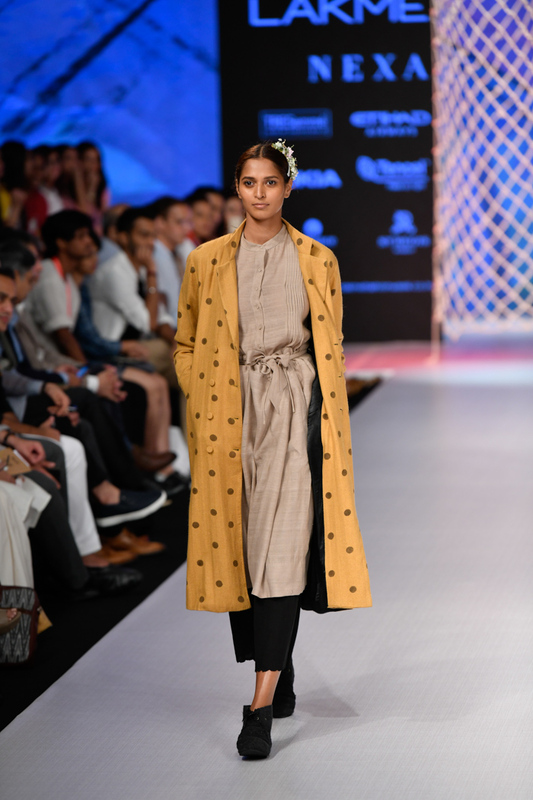 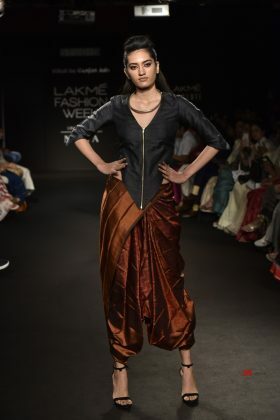 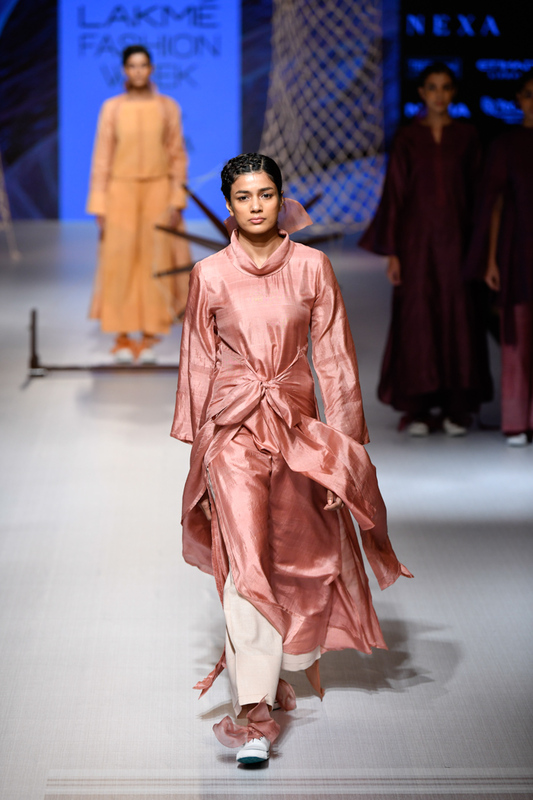 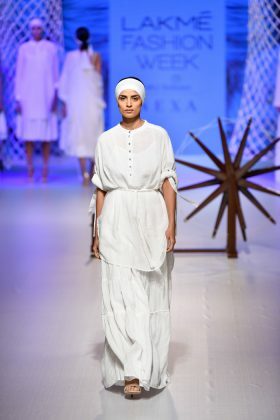 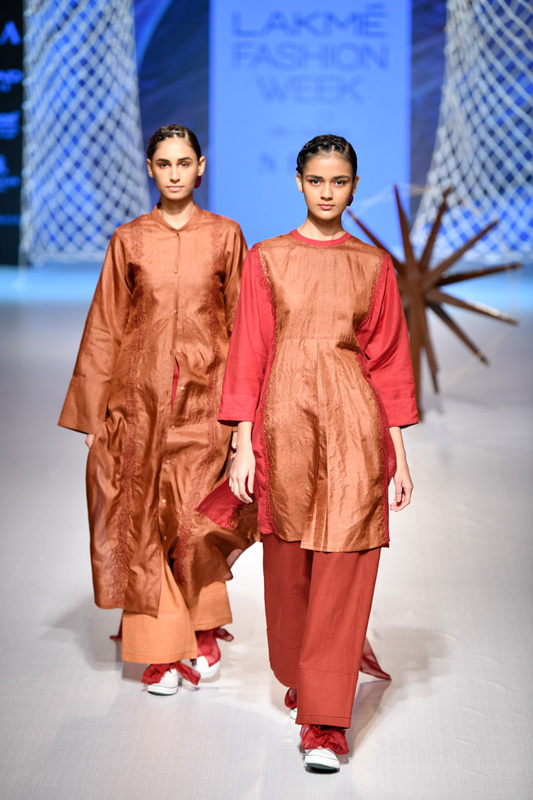 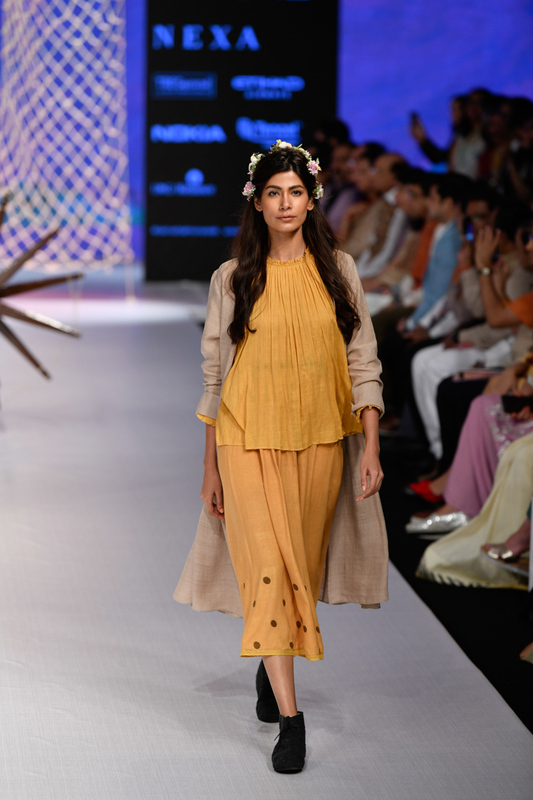 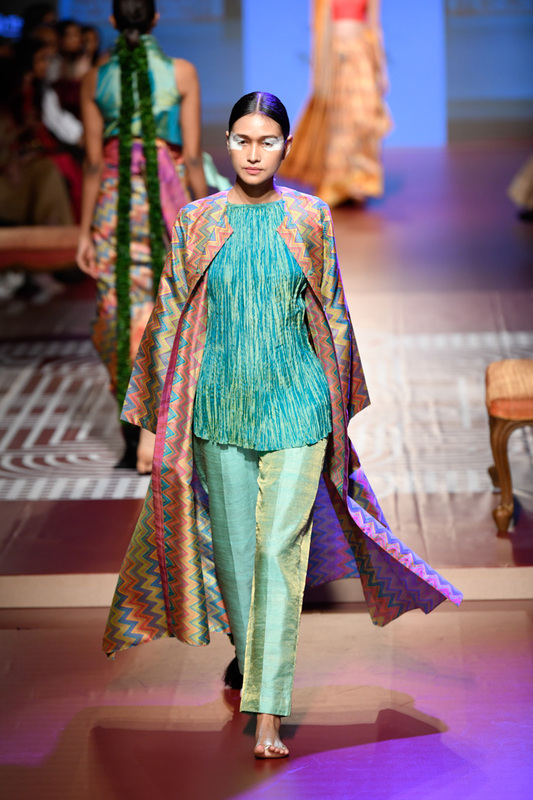 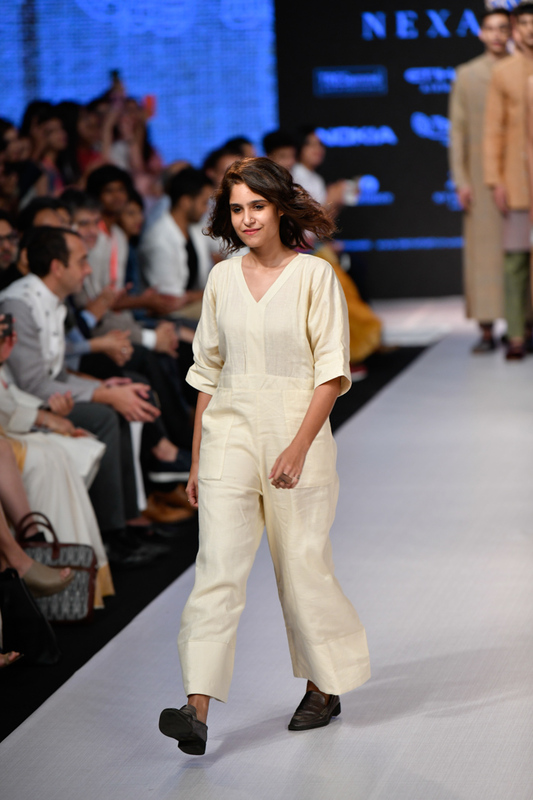 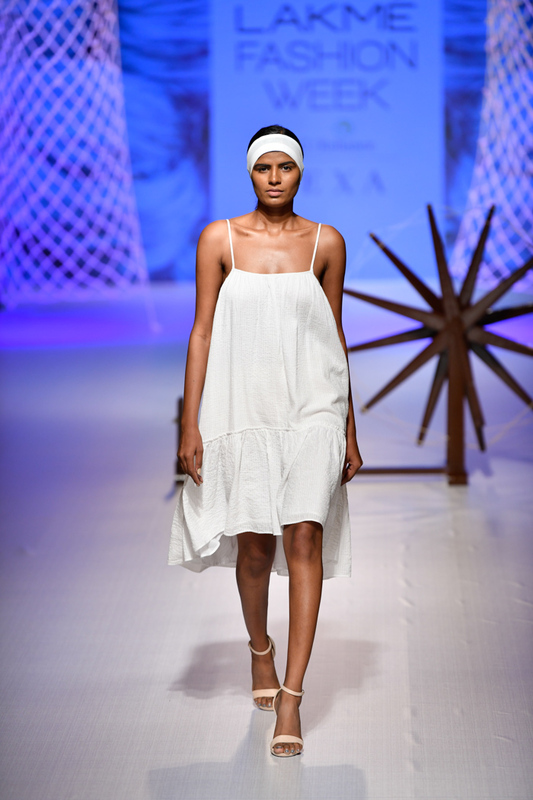 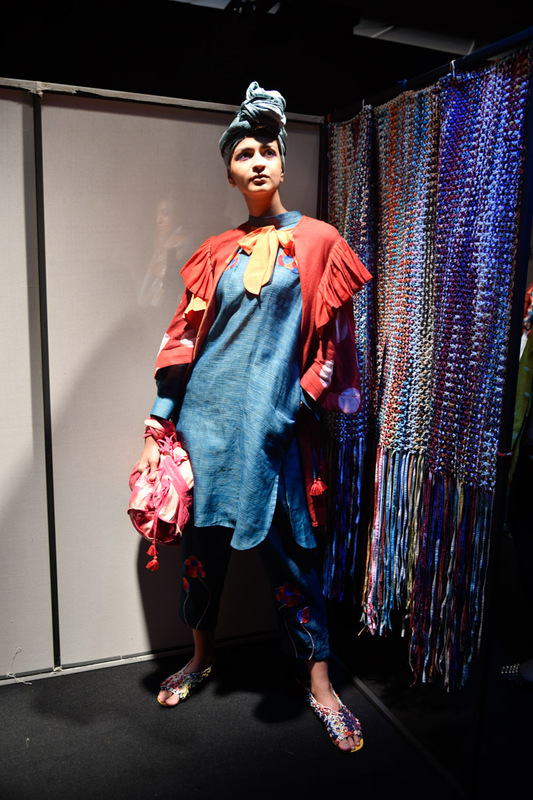 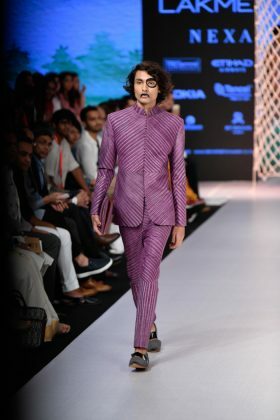 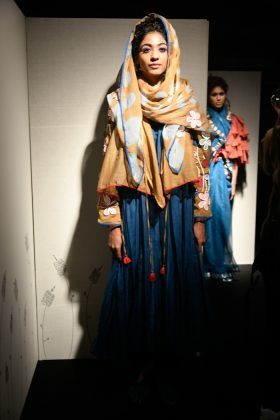 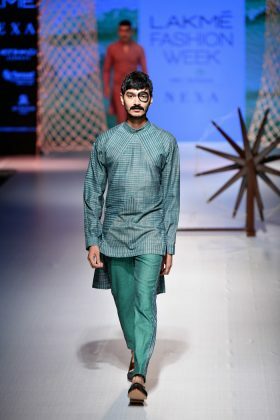 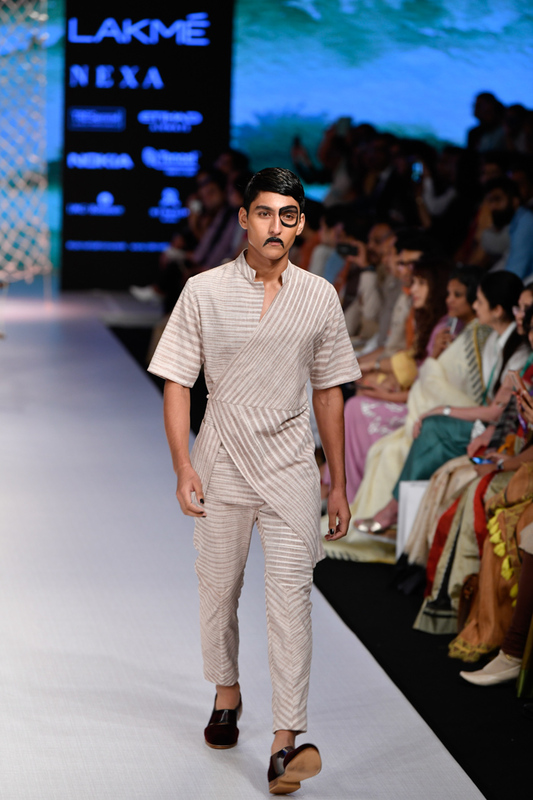 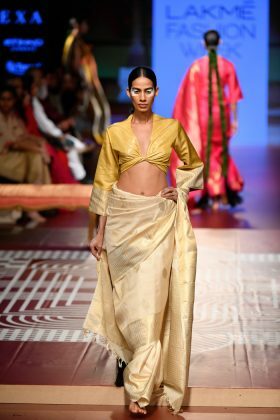 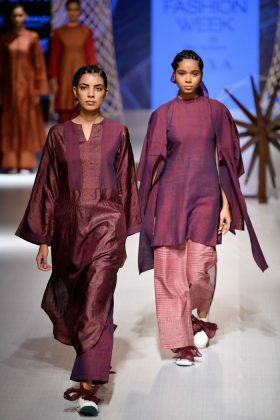 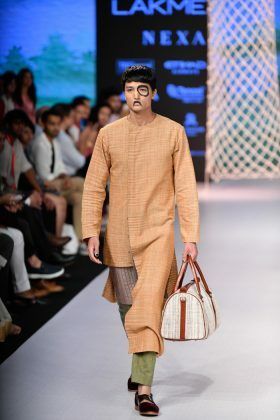 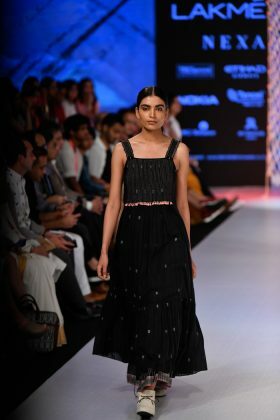 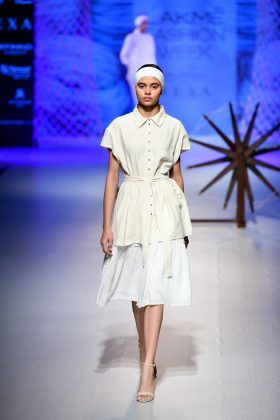 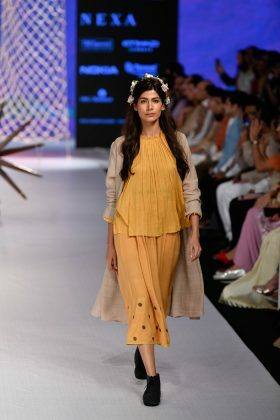 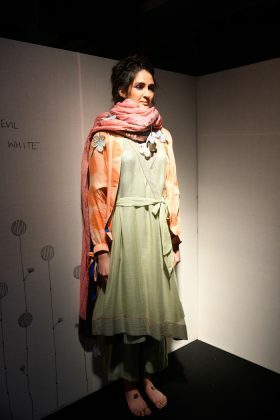 Khadi & Village Industries Commission and The Third Floor Clothing came up with Khadi silks dominating the collection, the magic of Indian heritage crafts, that’s big on layering and androgynous silhouettes. 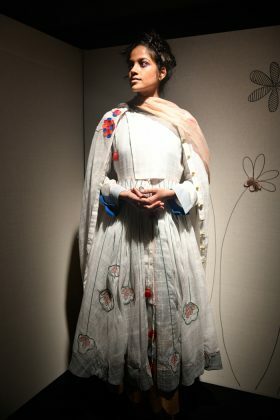 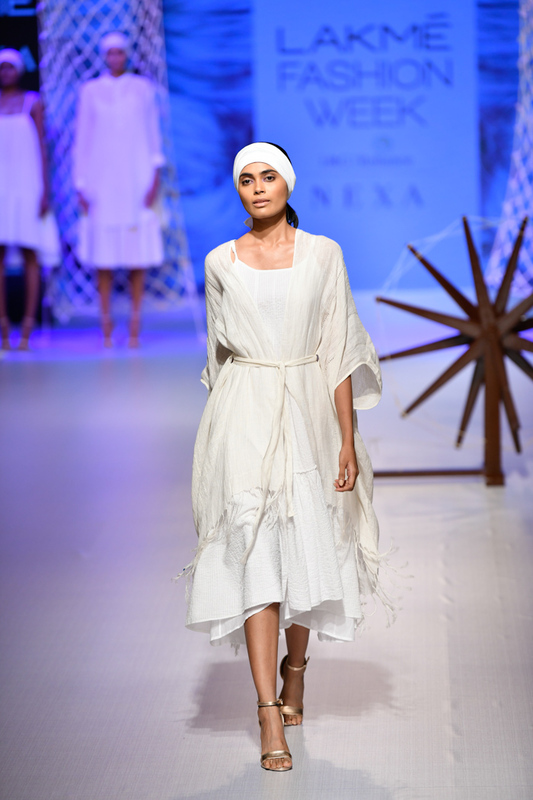 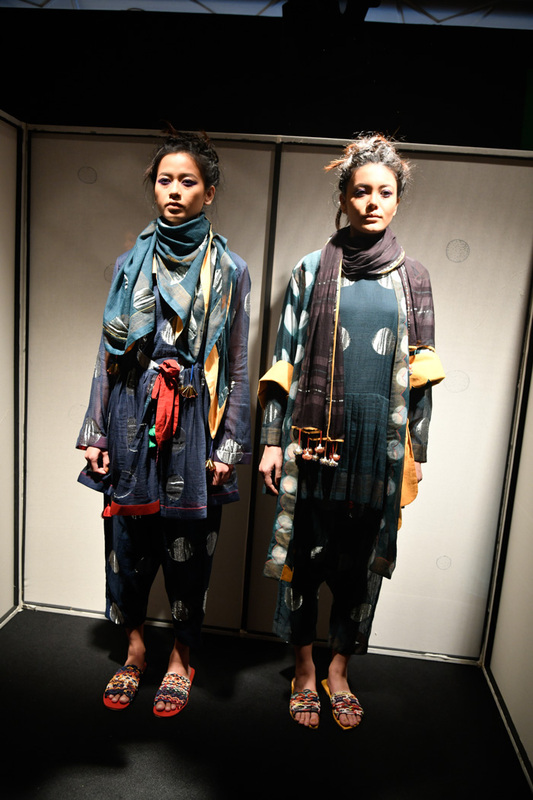 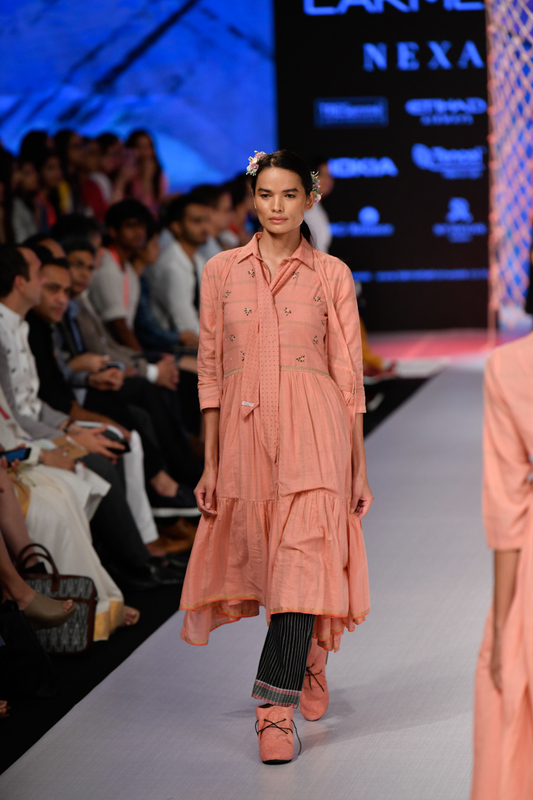 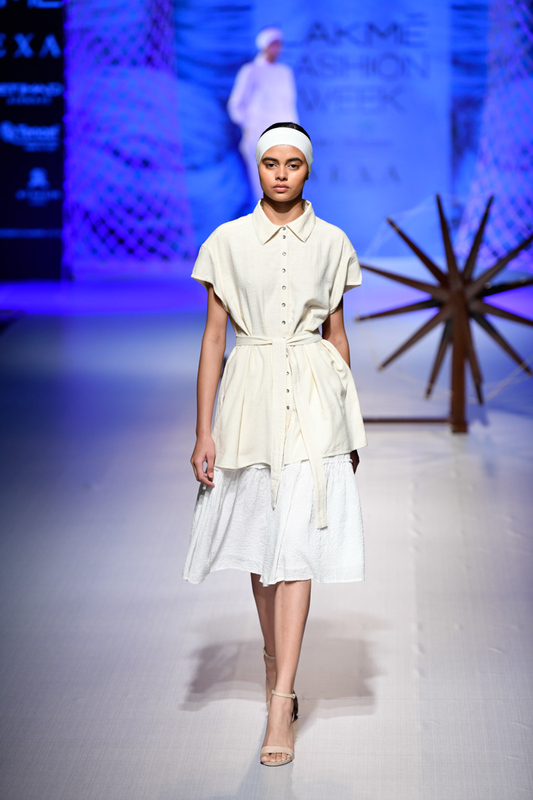 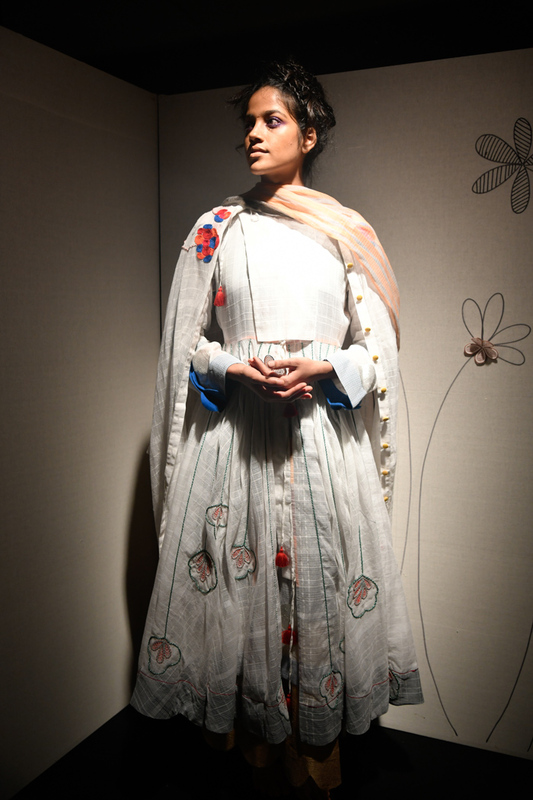 Khadi & Village Industries Commission brings Buna’s collection named as the “Time Whisperer” the clothing is rooted in the Japanese concept of Wabi-Sabi, drawing a parallel with Khadi. Lars Andersson collaborated Khadi & Village Industries Commission to bring a contemporary knitwear collection, that exudes luxury both aesthetically and tactilely. 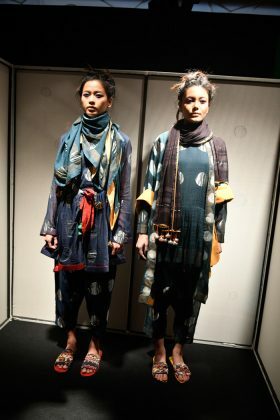 Jewellyn Alvares collaborated with Khadi & Village Industries Commission to present a line that has three directions rolled into cohesion with Tunics, pants, shirts, jackets, and coats.